It’s beginning to look a lot like.. okay, it already looks a LOT like Christmas because apparently it’s happening in two days time. Whether I’m ready or not. At the start of December I hatched grand plans to visit the restaurants of Manchester sampling the very best festive food on offer. As it happened, I had no time for such fun. Just as well really as even if I had managed the eating part, I certainly wouldn’t have time to write about it. 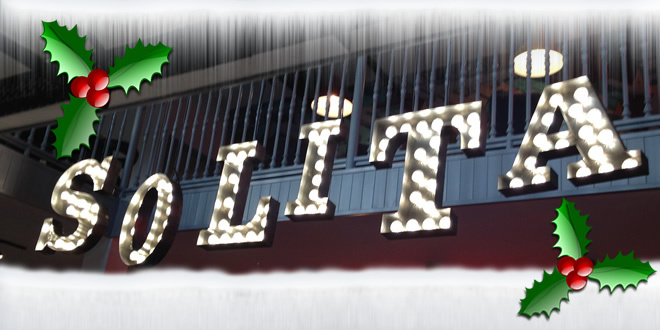 I did make it to Solita though for my annual Christmas burger, a firm tradition now after three years (see previous here and here). Also making a reappearance was one of my favourite Christmassy drinks. 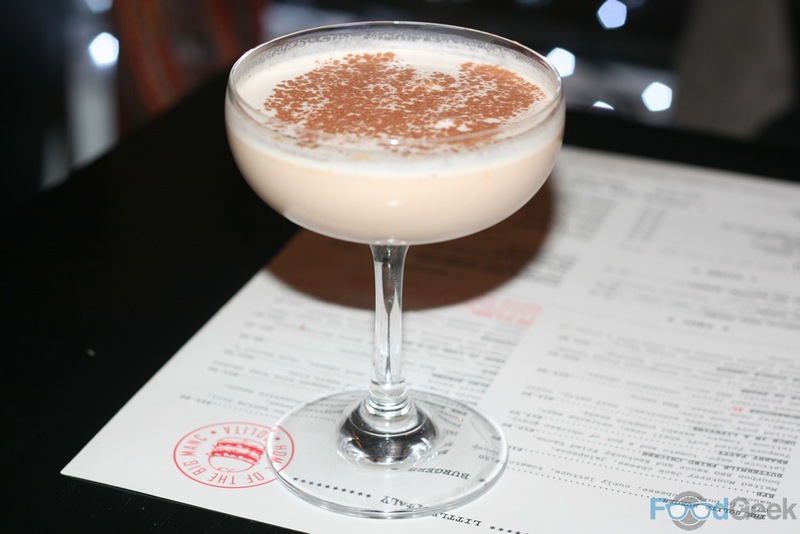 ‘Mars Bar Eggnog’ is essentially alcohol spiked (rum and brandy) Mars Bar milkshakes with extra butter, cream and chocolate. It probably contains more calories than the burger that followed but it tastes ridiculously good. 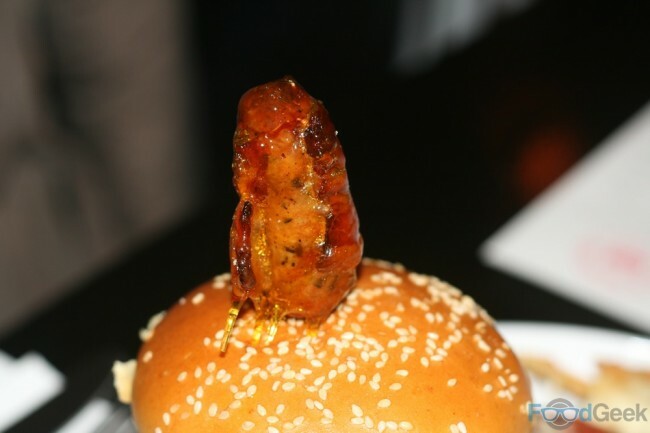 The star of the show was of course ‘The Very Famous Solita Christmas Burger’. They’re not my words by the way, that’s what they’re calling it over at Solita. It’d be bragging if it wasn’t true. This burger has somehow caught the attention of not just local newspapers – Manchester Evening News and Metro – but national and international (ish) broadcasters too in ITV and RTE Ireland! Why all the fuss? In true Solita style there are some attention grabbing ingredients, the Panko coated deep fried stuffing and candied pig in blanket return from last year. They’re joined by a slice of ‘5 bird roast’ and a venison and beef patty to make a total of 9 meat products. 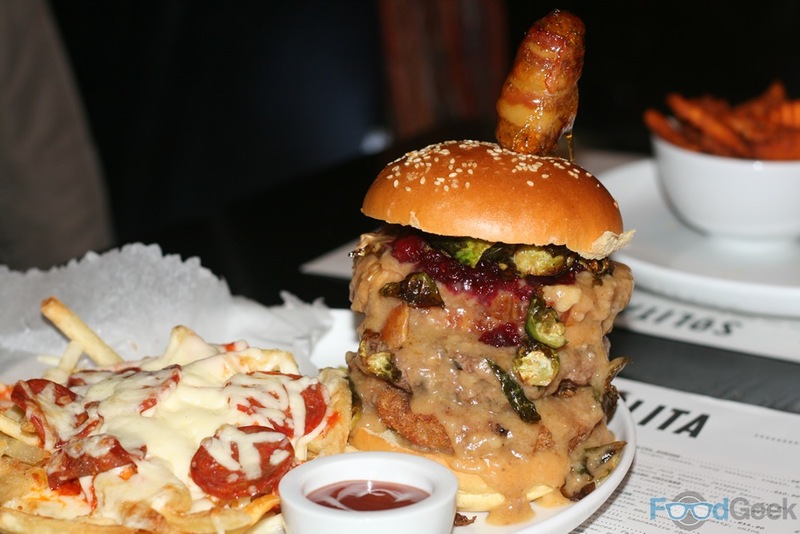 Perhaps the ingredient that stands out the most is the deep fried sprouts. 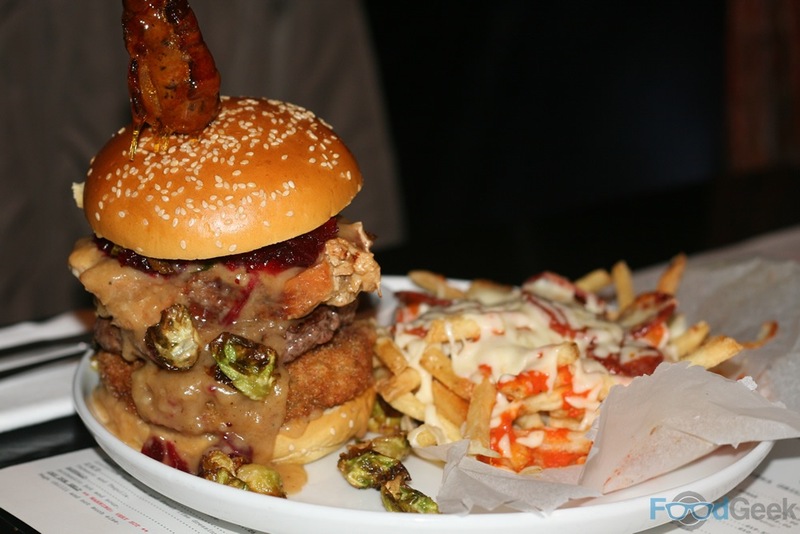 The Christmas Burger certainly looks as impressive as it sounds, but is it any good? Well yes, with a few caveats. 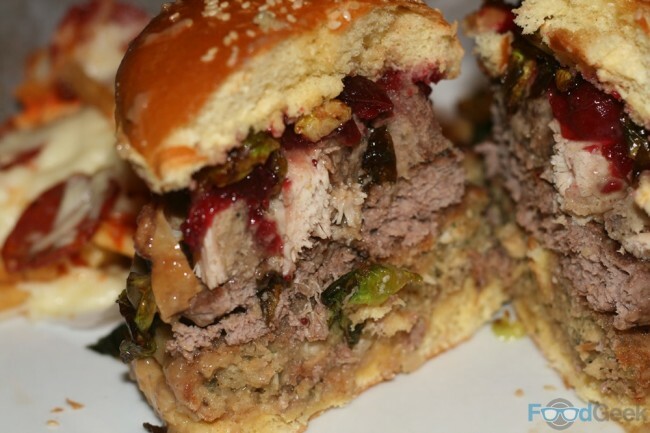 Firstly, for me last years Christmas burger was perfect, I understand the need to make bigger and better things but I’d be perfectly happy to eat that every year. I also felt there was perhaps a bit too much going on with this one; it’s too big to eat whole and some of the elements get lost. For example, I couldn’t even pick out the venison in the patty, never mind which five creatures contributed to the five-bird roast (FYI: turkey, chicken, pheasant, goose & duck). I missed the buttermilk-fried turkey from last year too. Nevertheless, it’s still a great burger. After all, its size and slight silliness sort of sums up the fun and overindulgence that Christmas is all about. There are some brilliant touches too. The deep fried sprouts are an absolute revelation. I’m not one of those weird sprout haters but I’m confident if you are you’ll like them cooked like this. Drenching the burger in thick, rich KFC style turkey gravy is also inspired, not only does it taste fantastic but it joins everything together and keeps it all lovely and moist. Overall it’s an impressive burger that tastes good and packs about as many festive ingredients as you could possibly hope to get into a single brioche bun. 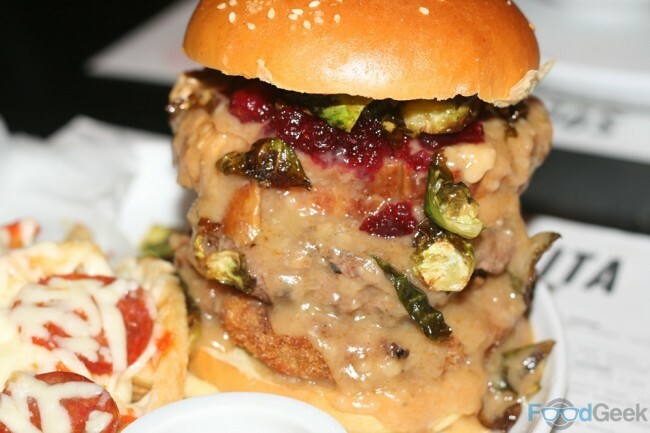 My Christmas wish for next year is that we get a combination between the last two Christmas burgers, most of last years with added deep fried sprouts and KFC gravy. That one would go global, for sure.